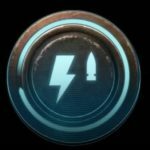 This is a Mass Effect Andromeda consumables guide on the Disruptor Ammo Consumable. Here you will find details on the consumables used by the Pathfinder. Shots stun enemies and deal large bonus damage to shields. Lasts for the next three clips of the currently equipped gun.